First-year medical students from A.T. Still University’s School of Osteopathic Medicine in Arizona (ATSU-SOMA) met, interviewed, and successfully treated their first patient in the innovative Virtual Community Health Center (VCHC). She is Mrs. Yazzie, a 60-year-old Navajo woman who finally decided to visit the CHC at the urging of her 14-year-old granddaughter, Jennifer, after months of worsening hand pain. Mrs. Yazzie is just one of many virtual patients who present to clinic with realistic, socially complex medical issues. In solving the case study, students learned the social determinants of health specific to Mrs. Yazzie’s family and helped to connect her to the resources she will need to treat her newly diagnosed rheumatoid arthritis. During academic year 2015-16, SOMA will pilot a series of 14 virtual patient case studies, set in a VCHC. This will offer first-year osteopathic medical students early experiences with public health and the opportunity to apply clinical reasoning in a peer team. 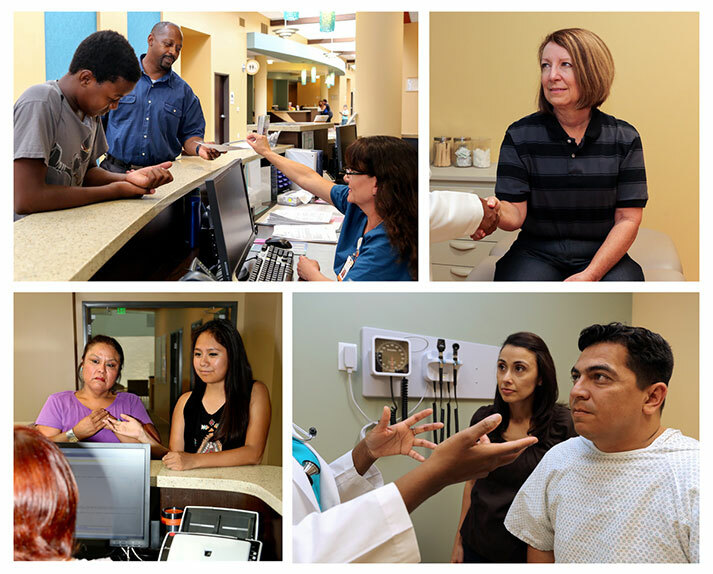 Through deliberate practice with patient encounters like Mrs. Yazzie, medical students will learn the issues facing diverse populations of patients who seek treatment at community health centers.